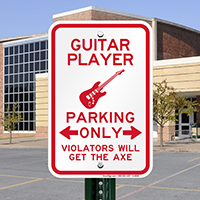 This fun sign makes a perfect gift for your guitarist friend. 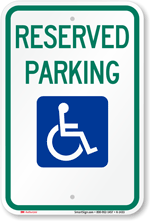 The sign can also be used at private clubs to mark your guitarist's zone. 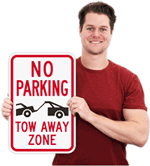 • Novelty Parking Signs make a unique gift! 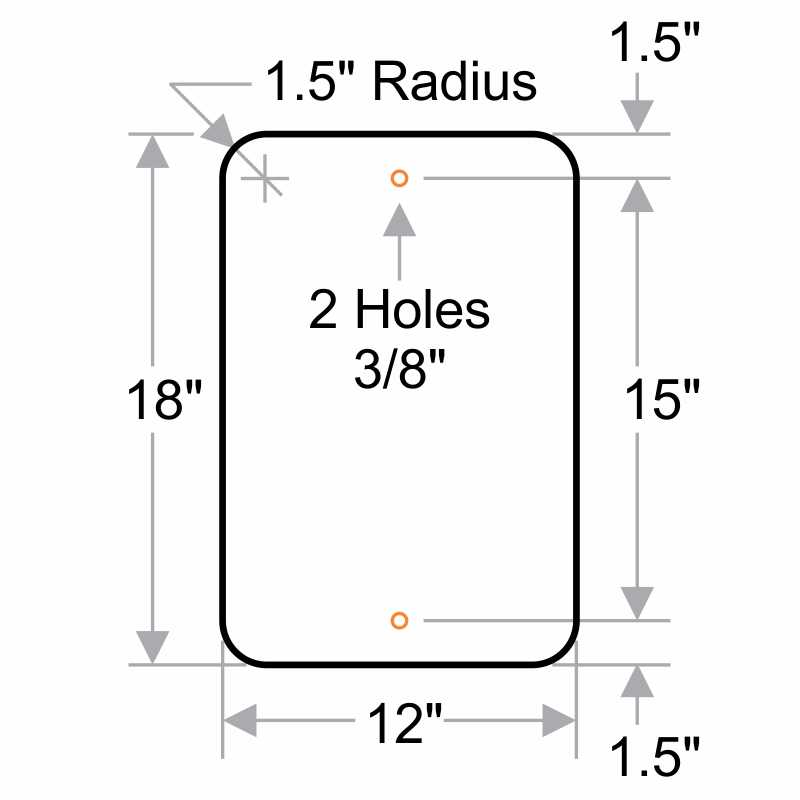 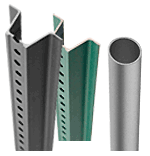 • Use pre-drilled holes for quick and hassle-free installation. 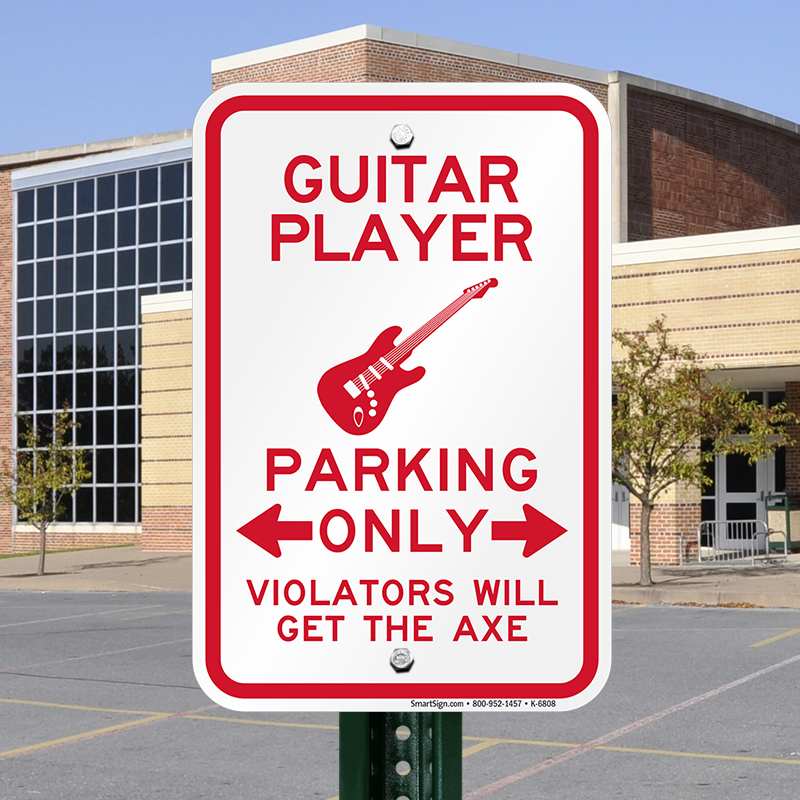 Exactly the guitar sign you are after.